If you don’t think regular cycling is enough of a workout for you, check out this new contraption out of Bulgaria that’ll give you the feeling of being out of the saddle for your whole ride. The Halfbike II is currently looking for backers on crowdfunding website Kickstarter, but has already smashed its $50,000 target, with $310,000 already pledged. And by the looks of it, they’ve certainly done that, with a contraption that’s half bike, half cross-trainer – something that will make you feel at one with the road, or something like that. 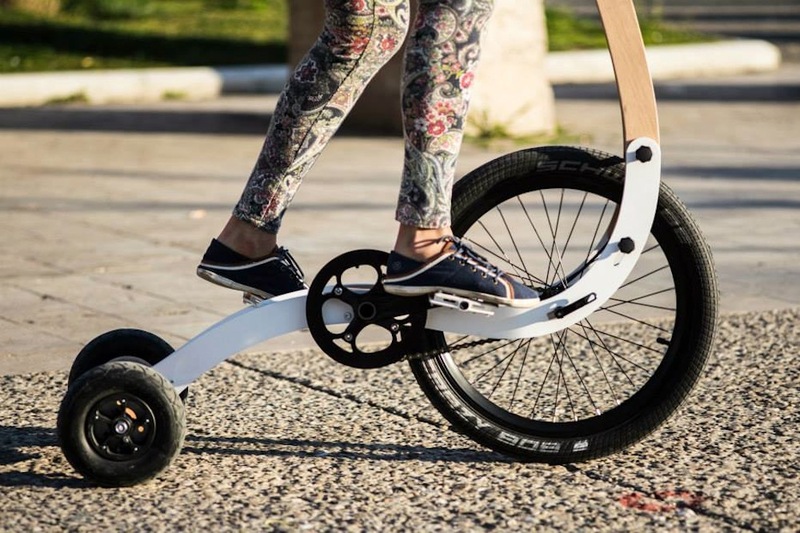 By the look of it, the Halfbike will be a machine that will give your core muscles a good workout while improving your balance and reaction skills as you whizz round your local area. As you can see in the video above, the Halfbike recently came to London for a spin on the Southbank, but the bad news is that such is the demand for these new bikes, you’ll have to wait until at least September to get your mitts on one. Pledging $399 will be enough to get you a Halfbike in its third production run (the first two are sold out already). Find out more on the product’s Kickstarter page.